11 tinting in trees and bushes for its prey, this cuckoo eats hairy caterpillars that most other birds find distasteful. It also takes other insects, particularly grasshoppers and locusts, and other small creatures. Usually silent, it becomes noisy when breeding, with a song that is partly a harsh chatter and partly a gobbling sound. After hatching, the young cuckoo imitates the calls of the nestlings of the host species, begging for food from the parent. Before long it outgrows the other young birds, though it does not eject them from the nest. • NliST This bird is a nest parasite. A single egg is laid in the nest of a magpie, crow, or (in South Africa) one of several species of starling. Adult winters in tropical Africa. 1 lie loud "cuckoo" call of the male gives this species, and the family, its name. It feeds on large, hairy caterpillars and other small invertebrates. The female watches a pair of small birds building their nest; then, at an opportune moment, she visits it, removes and often cats an egg, and lays one of her own in its place. 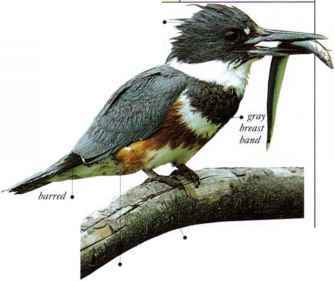 • NliST This bird is a nest parasite. A single egg is laid in the nest of an insect-eating bird which rears the young cuckoo.